Kick-Off EESAT 2015 with Our Networking Reception! Join us at the EESAT 2015 Opening Reception on Monday, September 21st from 6:00PM to 8:00 PM. Network with hundreds of energy storage experts and industry leaders. 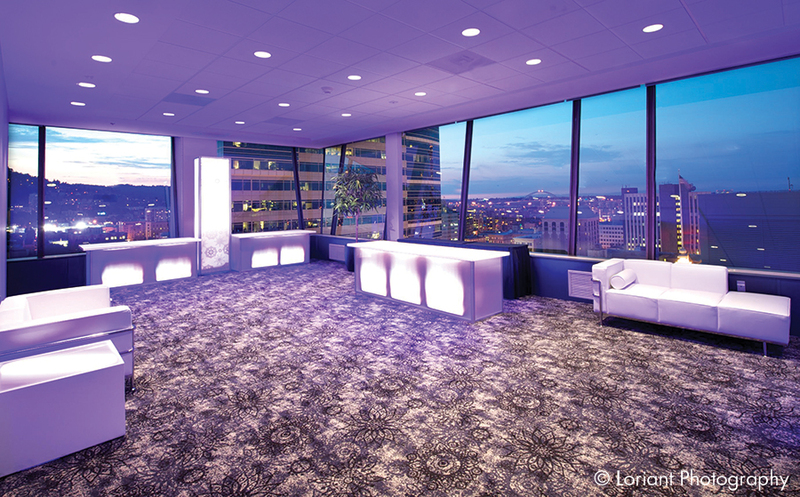 Enjoy light hors d'oeuvres and cocktails while taking in the breathtaking views of Portland from the Hilton Skyline Room. The opening reception is included in the EESAT full conference registration. Network with peers and industry leaders at the EESAT 2015 Technical Conference reception! Please join us on Wednesday, September 23rd from 6:00PM to 8:00 PM - after a full day of exciting plenaries and discussions – to enjoy local Portland cuisine and microbrews. The reception will be held at Oregon Museum of Science and Industry's Turbine Hall. This 13,400 square foot hall, complete with a large turbine generator, fuses together science and innovation for the perfect event space to discuss energy storage and technology. This is a ticketed event and additional registration is required. Space is limited - secure your reservation today!